MullenLowe Lintas Group is naming its group leadership team in India with two elevations from within. Amer Jaleel has been named Group Chairman and Chief Creative Officer. Partnering him on business will be Virat Tandon, who’s being named Group CEO. In their new roles, the duo will lead the group mandate in India, overseeing its three agencies – Lowe Lintas, Mullen Lintas and PointNine Lintas. Amer Jaleel joined Lowe Lintas in 2002 and has held multiple creative leadership positions, including Chief Creative Officer. Virat Tandon joined the group in 2004 in the New Delhi offices of Lowe Lintas and has since played various senior roles in the network in India and Singapore. When the group started Mullen Lintas in 2015, it named Jaleel and Tandon Chairman and CCO and CEO, respectively. In a separate development, Arun Iyer, Chairman and CCO, Lowe Lintas, has decided to move within the agency to become a creative consultant. Iyer plans to start a venture of his own and will transition out of the agency over the next year. The agency has planned a 12-month transition period, during which he will continue to work for some key clients and help with succession planning. Jaleel and Tandon’s appointments take place with immediate effect. 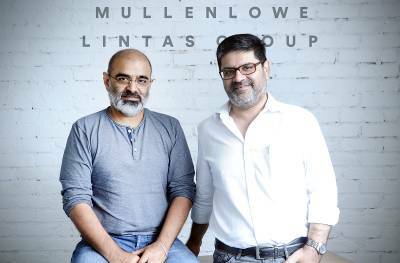 They are working on plans to transform MullenLowe Lintas Group in a few critical areas to remain the key agency partner for clients.